WHAT??? Encanterra for under $280,000 and Shea Xero PRE-PAID Solar with average monthly electric bill for this home only $45.00 a month. This incredible savings pays for the majority of the HOA expense. Would you rather enjoy the 50,000 Sq. FT clubhouse or continue to pay $400 in utility bills in your current home. The home is appointed with warm and neutral colors. Spacious kitchen with granite, stainless steel appliances and plenty of cabinet space. Enjoy the over sized yard for entertaining friends and family! 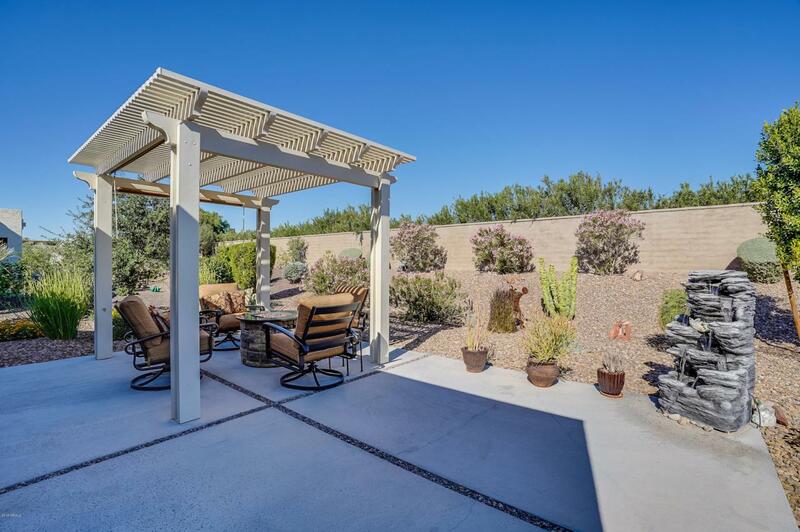 Extended pavers off the back patio with pergola shade structure add the perfect touch. Start enjoying the lifestyle you deserve today at Encanterra.